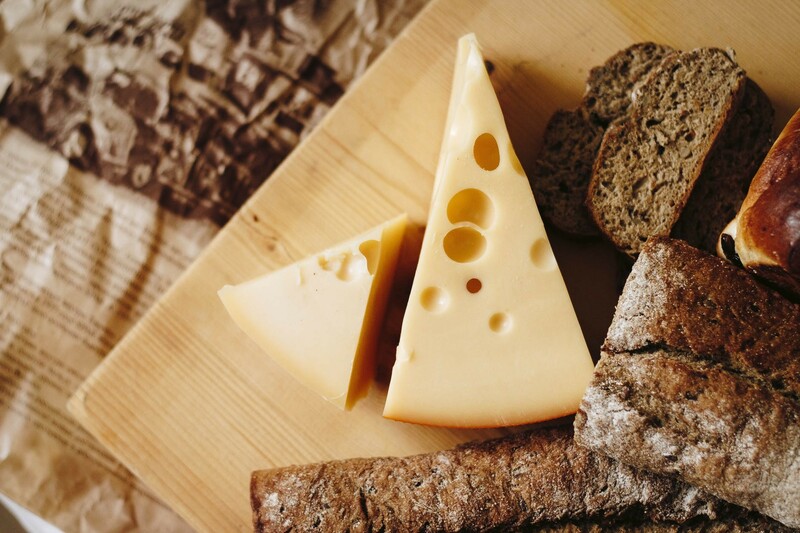 While the precise geographic origin of cheese is rather enigmatic, it is safe to say the staple was born roughly 4,000 years ago when humans began domesticating and breeding animals for their milk. There are hundreds of far-flung, would-be-obscure locales that we know for their cheeses—think the Village of Cheddar in England; Gruyères in Switzerland; and the small village of Camembert, in lower Normandy just to name a few—and each is influenced by both the type of milk and the aging process. The early cheese business was a cottage industry introduced to the New World by the Puritans. Over a century ago, the premier cheesemaking region in the United States was central New York. Today, cheese making remains integral to the history of the Hudson Valley as evidenced by the ever growing number of cheese makers and cheesemongers, a trio of which we’ve rounded up here. “Getting it from the farm is best,” says Cold Spring Cheese Shop owner Timothy Haskell, who prides himself on getting many of his shop’s local cheeses straight from the source. “It just tastes so much better.” Haskell and partners Paul Smithyman, Garrett Long, and Rebeca Ramirez opened for business in July with an emphasis on products made in the Hudson River Valley, New York State, and the Northeastern United States. 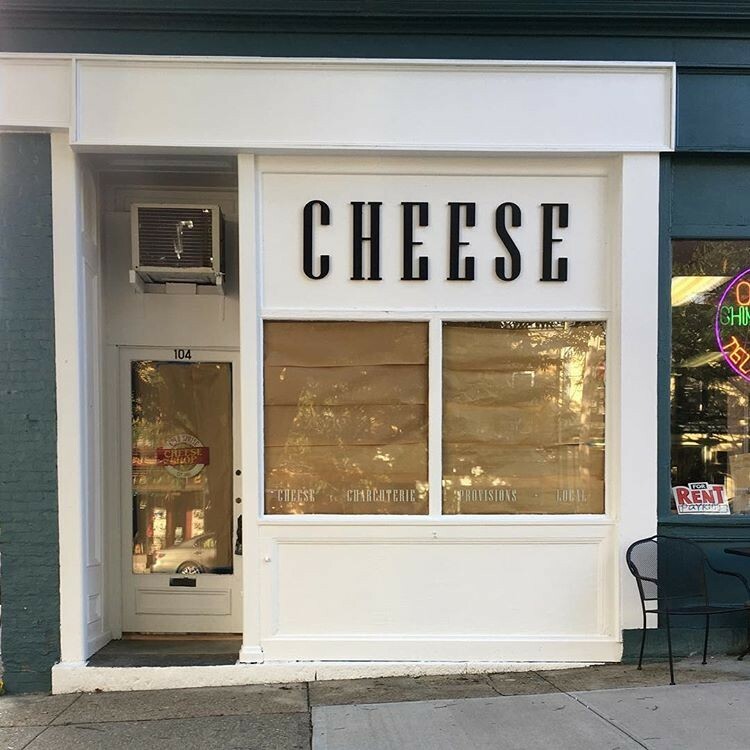 “It’s a old-school, artisanal cheesemonger with a focus on local stuff,” says Haskell summarily (though he does stocks a few exceptional international offerings.) And when he says local, he’s not kidding: “I get cheeses that aren't even distributed, [cheese] discovered at farmers markets,” he adds, noting that the NYC transplant spends “a lot of time driving around the Hudson Valley picking things up.” At present, Cold Spring stocks at least ten cheeses that are not yet sold in stores. Haskell has what he calls, “an extreme love of cheese. I’m a student of it.” He enjoys helping people create a language around what they like and educating people in how to talk about it. Descriptors on the shop’s chalkboard help, and sampling a bloomy, raw cheese for example creates an experience that goes beyond the ordinary. As to his favorite cheese of the moment? “I used to be a gooey, ooey soft cheese guy, and my favorite style was the triple cremes,” he says. “Now I’m into hard, aged cheese—aged gouda and gruyere—but my taste changes a bit over the course of time.” Don’t leave without inquiring about the newly launched cheese of the month club or checking out the daily sandwich specials like the perfect-for-fall DoReMi, featuring fresh goats’ milk farmer’s cheese with honey, walnuts, and Fuji apples. “We’re really an eclectic store,” says owner Lisa Sterer who, with her husband Yuval, set up shop in the rear of their current location more than a decade ago. Adjacent to the Rosendale Theatre, the cheese shop has a deli counter stocked with Middle Eastern fare—including falafel, a range of cold salads, hummus and baba ganoush, and sausages—reflecting Yuval’s Israeli heritage. The Big Cheese offers a, large variety of cheeses, both on the wheel and precut, in addition to gourmet food items ranging from nuts to smoked oysters. What truly sets them apart is the little “thriftique” in the rear of the building—the cheese shop’s original digs—where an extensive array of used clothes, shoes, and homegoods makes for good browsing. The Sterers’ sourcing runs the gamut from ultra local—purchasing farmers’ products at the end of the market day—to visiting the cheese warehouse in New Jersey and perusing what looks good, meaning there is always a broad rotating selection as well as the “certain select varieties that we need to keep.” Which includes Manchego, for sure. Ask Lisa for a recommendation and she might point you in her favorite direction: “I love the sheep milk cheeses, and raw milk cheeses. If I had to pick? A raw Romano manchego—that’s where I go.” Whether you’re new to cheese or know exactly what you are looking for, the Lisa and Yuval have you covered with their extensive array of samples that encourage customers to try something new. In addition to the cheese, grab a bag of Bjorn Quorn, solar popped in the Hudson Valley and topped with nutritional yeast.